In November 2008 I went to Pender Island (on a de Havilland Beaver) with my friend Abraham Rogatnick. We went to visit his friend Karl Stittgen and his wife Nora. I was curious to find out more about Stittgen as I had photographed his only competition, Toni Cavelti several times. Both are now retired. To determine which is the most famous of the two depends on which one of them you ask. Suffice to note that they are friends. German-born (Ludwigshafen, 1930) Karl Stittgen arrived in Vancouver in 1952 and ran his jewelry business until 1974. He then traveled to India, California and Arizona and studied interior design. He restarted his jewelry business in 1984 but sold it in 1995. 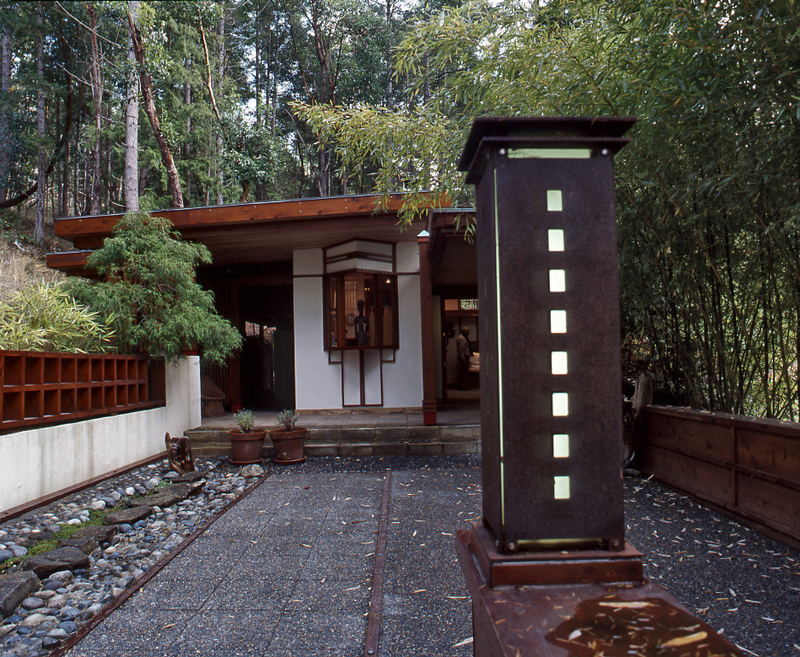 What led him to move to Pender Island and build a house in homage to Frank Lloyd Wright in 11992 (the house was finished in 1995) began when he saw a spread of a Frank Lloyd Wright house in a 1956 House Beautiful Magazine. Karl Stittgen and his Japanese/Canadian wife Nora live on their 6-acre property, Halcyon Days, with their Akita Inu dog Miho. Miho is named after the famous Japanese museum of design, the Miho Museum. The Stittgens live the life of aesthetes. They eat well and drink German wine. Both are expert potters. Stittgen rarely uses his computer as he says it would prevent him from making things and reading. Stittgen tested some of his Frank Lloyd applications in his house in West Vancouver now owned by Douglas Coupland. Below is my Q&A for Bob Mercer’s (alas!) defunct VLM Magazine. It was part of a series called My Favourite Room. 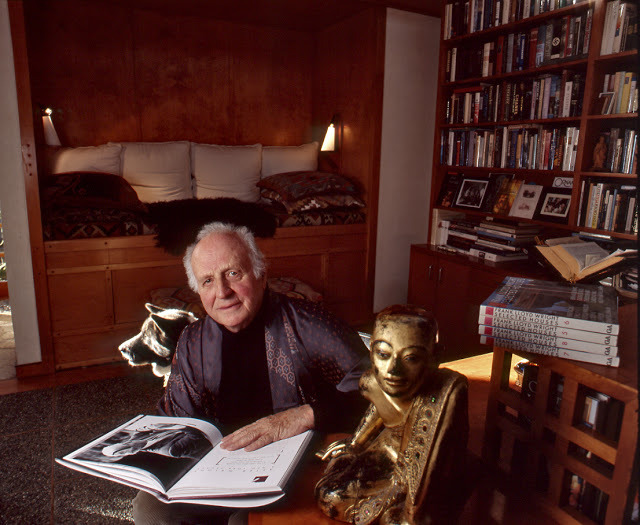 My favourite room is the library which was called sanctuary by Frank Lloyd Wright. A sanctuary has no openings to the outside. If you are totally concentrated on what is going on the inside, namely your books, you are lost in your reading and your thoughts. You are known in Vancouver as having been one of the best jewelers. What is your contribution to architecture? I studied architecture since 1959 when I was exposed to early Frank Lloyd Wright applications. 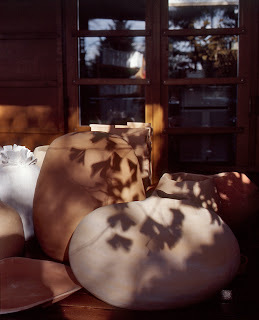 I had the opportunity, which some people in Vancouver gave me, to redo their houses. 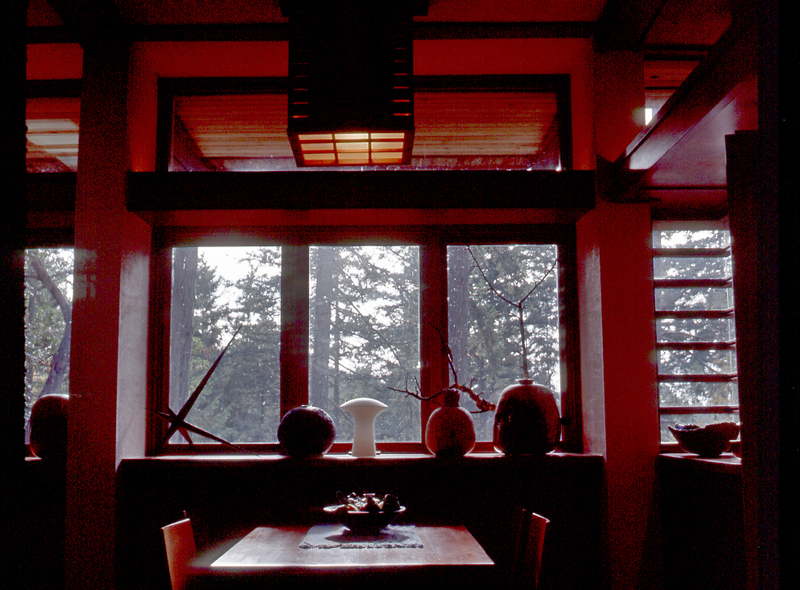 I did this so that I could use my aesthetic sense to their interiors and my ambition has always been to build a house on the basis of the philosophy of Frank Lloyd Wright. 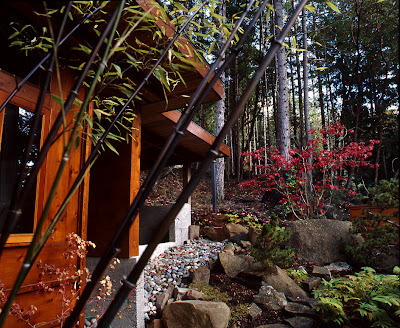 I have done this here on Pender Island. Why is it that thanks to Frank Lloyd Wright you are a good cook? 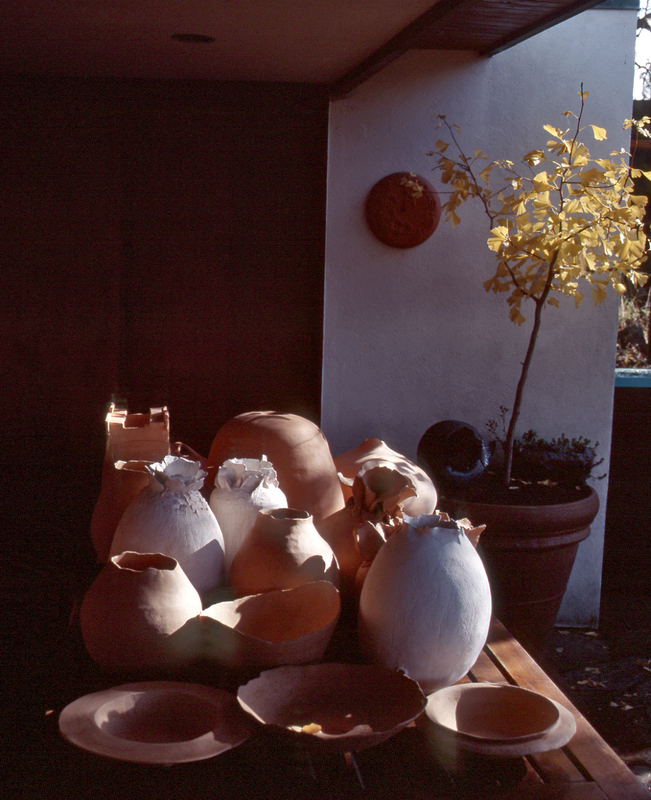 When I went to Taliesin West in 1961 (Wright died in 1959) to become a member of the fellowship, I found that we pupils of Frank Lloyd Wright had to look after the kitchen, the fields and the gardens, because the fellowship was supposed to be self-sufficient. When I arrived, since I was a newcomer, I was naturally put in the kitchen. I had to peel potatoes and clean the spinach, lettuce and pumpkins. I learned how to cook. 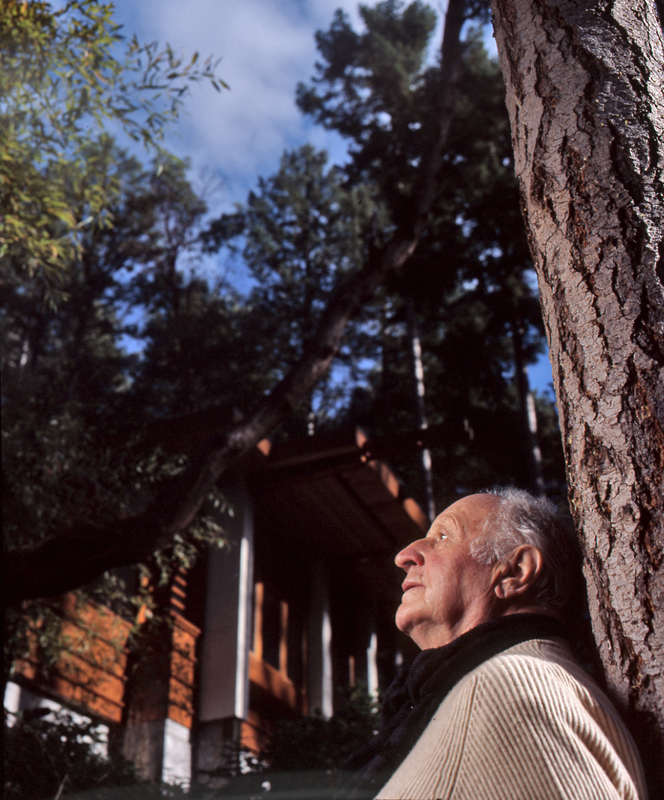 Deny that you are not obsessed with Frank Lloyd Wright. Deny? I am rather obsessed because Frank Lloyd Wright’s architecture is without any doubt the most livable there is. This compared to Modernist architecture or of the Arts & Crafts style makes me shudder. For a while in Vancouver we had what was then called the post & beam style which was derivative of Wright’s construction methods. They were wonderful houses! I don’t understand why that trend of the 50s and 60s has not continued and that we have gone back to the Arts & Crafts style. Frank Lloyd Wright’s interiors have been proven by people who live in them as being interiors that “form” a lifestyle. 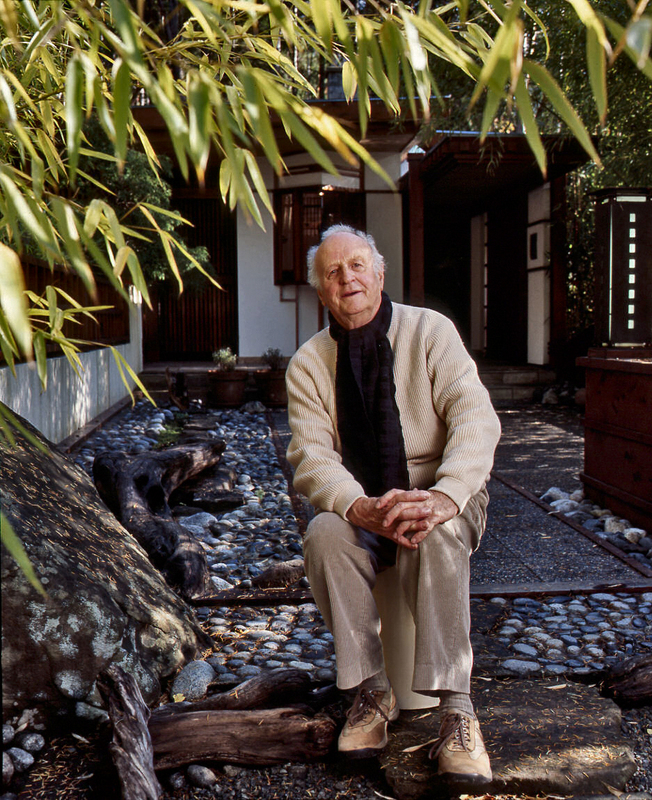 If Frank Lloyd Wright were your elder brother what would he say about that? I am absolutely certain that he would encourage me to be even more of a potter because he was interested in the crafts. His whole philosophy of house building was based on craftsmanship. He taught his apprentices to be masons. He wanted them to be masons, carpenters, and chimney builders so that when they designed a house they knew how everything fit together. 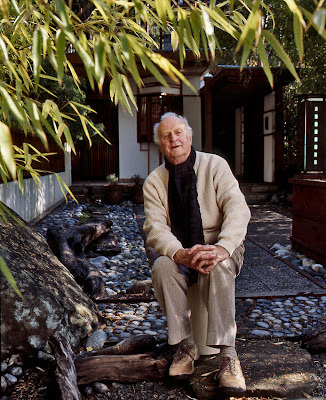 He was an admirer of the crafts and designed one of the finest craft shops in the country in San Francisco on Maiden Lane for ceramics. He would be pleased with the derivative of his architecture that I built in my own house and also be pleased with me being a ceramist or potter. When you designed this house is there any part of it in which you took into consideration your wife Nora?